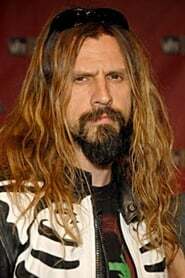 Rob Zombie (born Robert Bartleh Cummings; January 12, 1965) is a musician, film director, screenwriter and film producer. He founded the heavy metal band White Zombie and has been nominated three times as a solo artist for the Grammy Award for Best Metal Performance. Zombie has also established a successful career as a film director, creating the movies House of 1000 Corpses, The Devil's Rejects, the 2007 remake of Halloween, its sequel, and The Haunted World of El Superbeasto. His next film will be the upcoming The Lords of Salem. Description above from the Wikipedia article Rob Zombie, licensed under CC-BY-SA, full list of contributors on Wikipedia .